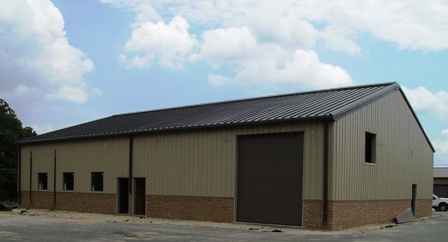 The building is a Nucor Building System, metal framed with a wall panel exterior. It includes offices and an open shop area with pass through overhead doors. DCG Selected for Del's Auto! DCG Selected for Delta Paint!